Personnel issues, paperwork, HR compliance breaches, and safety issues take precedence over the longer-term priorities for the business, and sometimes even the customer.It’s hard to avoid the fire drills, but you’d have to hire a staff of people to help you manage all these things, and that would get too expensive. So you and your top managers handle it all. As your company grows, these issues and responsibilities can mount. If you’re worried about the time you spend away from revenue-generating activities, you’re not alone. 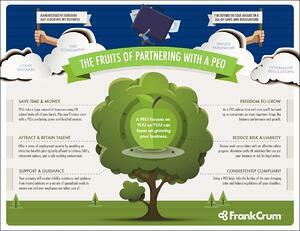 This is where a professional employer organization, or PEO can come to your aid. PEOs help you with HR compliance, the day-to-day HR tasks including payroll -- and free up time for you to focus on growing your business.